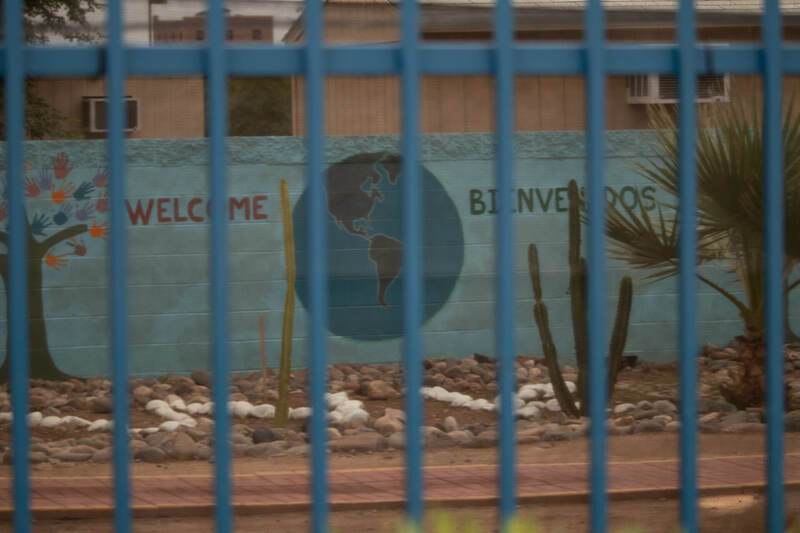 Southwest Key will stop accepting new migrant minors at all of its child-care facilities in Arizona and will shut down two of its 13 shelters in the state, according to the terms of a settlement reached between the company and the Arizona Department of Health Services. The two facilities that will shut down are one Phoenix location on 7th Avenue near Buckeye Road and a facility in Youngtown, which the federal government already closed on Sept. 28 after allegations that employees had physically abused three minors in mid-September. The Phoenix location was licensed to hold 420 children and the Youngtown facility for 139 minors, said Southwest Key spokesman Jeff Eller. The settlement follows a move by ADHS to revoke all of Southwest Key’s licences after the company failed to provide adequate evidence that its employees had current background screenings, as required by state law. The freeze on accepting new minors will be lifted at the discretion of head of ADHS after it “is assured that the health and safety of the residents is no longer in immediate danger,” according to the settlement. Pay $73,000 in civil penalties. Hire an “on-site evaluator” at each of its facilities, appointed by ADHS Director, for at least one year and up to two years. Agree to unannounced inspections by ADHS personnel for two years. Southwest Key and ADHS representatives held a settlement conference Oct. 9, and a hearing was scheduled before an administrative law judge on Nov. 5. In a statement, Eller said the company will comply with the agreement. ADHS will vacate its notices to revoke, according to the settlement. Community groups have been calling for more state oversight over Southwest Key’s shelters. Media reports also exposed a record of sexual misconduct allegations at Southwest Key and other incidents, including runaway cases. The Texas Tribune reported Southwest Key has hired the country’s oldest child welfare organization, Child Welfare League of America, to review its screening and hiring practices in all of its nationwide shelters. Eller said the third-party consultant hired in Arizona under the settlement agreement will be separate from this probe. https://www.swkey.org/about/bod/ roughly 57 days per child and about $38,000 total children in the 500 facilities in 14 USA states. 42,000 2017. South West Key is in the top 25 of non-profit Hispanic businesses with reimbursements of over $1 Billion from the USA to run its facilities. Related to this story is the transportation company that moves the kids into and out of facilities is also a shining star in the Hispanic businesses in the USA and has been owned and run by the same person since the late 1970’s. (also it has been caught up in improper procedures like children sleeping in buildings not zoned properly.